Home » Healthy Sleep » Does Massage Therapy Help You Sleep Better? Can it Beat Insomnia? Does Massage Therapy Help You Sleep Better? Can it Beat Insomnia? When people have trouble falling asleep, they tend to do one of two things. They’ll either suffer through the night, watching the minutes of the clock tick by, becoming increasingly stressed as the night wears on – or they’ll take a sleep aid, such as a prescription sleeping pill. But what if there was a better (and more pleasant) way to fall asleep effortlessly? With up to 70 million Americans suffering from chronic sleep disorders and countless experiencing occasional insomnia, it’s time to find a better solution to getting adequate rest. 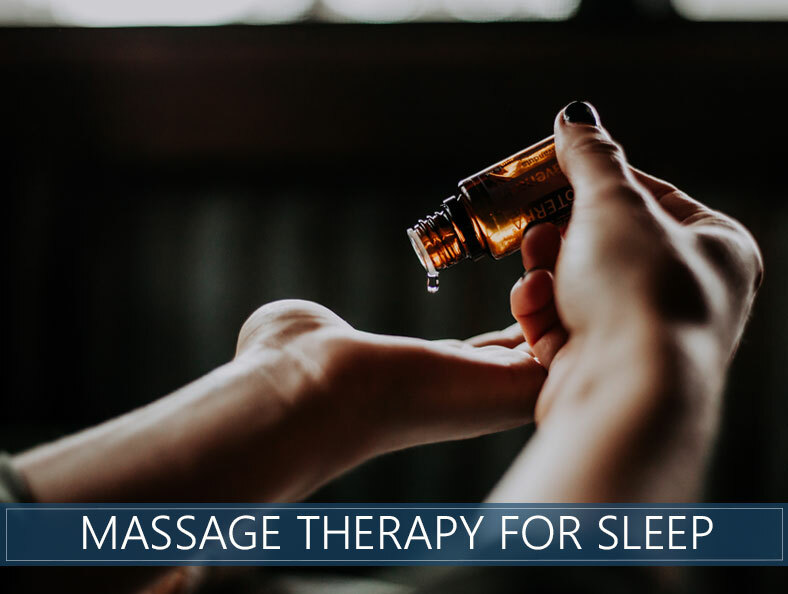 Massage therapy has been shown to be better for sleep because it helps people relax, relieves pain, and it can also stimulate hormones that are conducive to sleep. Can a Massage Relieve Insomnia? Pain relief: If the source of insomnia is pain, then this therapy can help relieve the symptoms. Relaxation: Many people find that stress and anxiety are keeping them up at night. A massage is a peaceful and quiet time to forget about troubles and escape from the day-to-day while being pampered. Get one in the evening to allow these feelings to carry over to bedtime. Hormone production: People suffering from insomnia often show a deficiency in serotonin levels. This hormone is referred to as the “happiness hormone,” and it’s also a precursor to melatonin, which is a natural chemical that causes sleepiness. This therapy boosts serotonin levels, and therefore, melatonin production. By having your limbs, back and torso touched, pulled, kneaded and stroked, you’ll receive a variety of both psychological and physiological benefits. Relaxation response – an overactive nervous system slows down involuntarily. Mechanical response – physical effects such as pain and headache relief, decreased blood pressure, muscle relaxation, serotonin production, and a reduction in stress hormones are all shown to occur. By taking this personal time to relax and receive pampering, you help your body handle stress and decrease the symptoms associated with it. Massage has been shown to improve a variety of disorders, which could all affect your bedtime, including digestive disorders, sexual dysfunction, and hypertension. This form is quite popular, and as you can guess, originated in Sweden. It’s a gentle and traditional type, involving long strokes, circular movements, and kneading. Some tapping is added to aid in relaxation and positive energy. This type is similar to the Swedish variety but instead provides deeper pressure. It’s beneficial for ridding the muscles of tension, and the primary focus of the masseuse is on accessing muscle tissue, tendons, and fascia, which is the layer surrounding your joints, bones, and muscles. The focus of this type is typically on an area of soreness or injury. It uses the same techniques as Swedish, but again, it’s designed to be either therapeutic or preventive. For people experiencing pain, this form of massaging may provide the most relief. A trigger point is a part of the body that causes pain somewhere else. For example, by rubbing a trigger point in the back, it can potentially provide pain relief in the neck. A body in pain tends to adapt by molding itself into a shape where it can be in a comfortable position. By relaxing and loosening the muscles, massages can help the body find a more natural alignment. The relaxation and increased circulation associated with this natural therapy are also helpful in reducing blood pressure. It’s not an overnight cure but is likely to help with regular sessions over a period of several weeks. By getting to the root of pain and tension, you’ll naturally feel your muscles relax, and you may even find that flexibility increases. All that circular motion is bound to improve circulation. Another way it helps is by flushing lactic acid from the muscles, and this also stimulates circulation. This therapy helps the body’s ability to fight infection by increasing the white blood cell count in the body. White blood cells are the first line of defense in battling viruses. Both tension headaches and migraines can be helped with this therapy. It relieves spasms, decreases tension and helps circulate blood and oxygen, all of which are likely to reduce headaches. The side effect of this therapy is feeling relaxed! It’s a pleasurable sensation, and it’s an ideal form of downtime. There are also physiological effects taking place during a massage, including the increase in serotonin, which increases happiness levels. Serotonin also forms melatonin in the body, which is the hormone that causes us to fall asleep. Does lavender oil help for relaxation? Yes, lavender oil may be used on its own or in conjunction with this therapy. Lavender oil has been shown to slow down the heart rate, lower blood pressure, and put the nervous system in a parasympathetic (or slower) state. Can it help people with other sleep problems? Results differ for everyone, but yes, in some cases, other sleep challenges and disorders may also be helped. For example, those suffering from sleep apnea may turn to this type of therapy because it potentially relieves the abnormal muscle activity that triggers an apnea. Can a massage reduce snoring? Potentially, yes! By improving circulation and relaxing the muscles, snoring may be reduced dramatically. There are even specific massaging oils you can request that are designed to rid the throat of mucus that may be contributing to it. 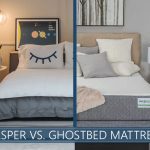 Which is better for sleep? A head or foot massage? They’re both beneficial for sleep, so it depends on your preference. The head and feet both have connective properties to multiple parts of your body that aid in sleep. For example, foot reflexology is an alternative medicine that involves applying pressure to specific parts of the feet and hands to affect physical changes in the organs and other body parts. A head rub can also trigger acupressure points to induce sleep. Some of these are located at the temples, by the eyebrows, at the base of the skull and at that top of the head. If you’ve been experiencing trouble falling and staying asleep, the best therapy may be to go to your nearest spa and get a rubdown. It’s a much more pleasant experience than some other popular forms of treatment like sleeping pills, and it’s also healthier than trying to suffer through it. Now, you no longer need an excuse to get a massage! Can you think of a more pleasurable way to fall asleep?